Macy's CEO Terry J. Lundgren attends Love Bravery by Lady Gaga and Elton John Launch at Macy's Herald Square on May 4, 2016 in New York City. Lundgren has announced that he will step down early next year. 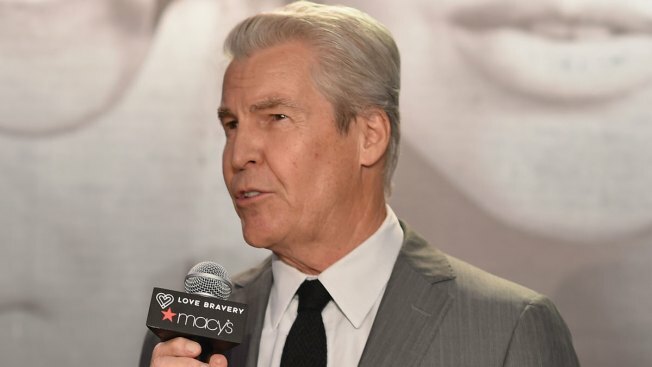 Macy's CEO Terry Lundgren, who spearheaded a landmark acquisition that created a powerhouse national department store chain, will step down early next year, the company announced Thursday as it struggles to reinvent itself amid online competition and changing consumer habits. Lundgren, 64, will be replaced by Macy's President Jeff Gennette, 55, who was promoted to that role from chief merchandising officer nearly two years ago as part of what the company describes as a succession plan. Gennette began his retail career in 1983 as an executive trainee at Macy's West in San Francisco. Macy's said Lundgren, who has been CEO since 2003, will continue with the company as executive chairman. Lundgren has been credited for nearly doubling sales during his tenure and led the acquisition of May Department Stores Co. in 2005. The deal involved the then-Federated Department stores buying May for $11 billion and it involved converting May's brands including Hecht's and Marshall Fields into Macy's stores. Lundgren also spearheaded the move to tailor store merchandise to local markets, and under his tenure Macy's became one of the top six online retailers in the U.S. But Macy's, which had been a stellar performer since the recession, has struggled with slower growth over the past year and a half. The company is facing increasing competition on all fronts and shifting shopper preferences. People are spending more of their money on experiences like restaurants, travel and home improvement and less on clothing. And when they're buying clothes, they're shopping at discounters like TJ Maxx and others. Macy's also faces an increasing threat from Amazon.com, which is expected to be the largest U.S. seller of clothing next year. As a result, the Cincinnati-based retailer, which operates about 870 department stores, has reported a drop in a key sales figure for five consecutive quarters. In May, it slashed its full-year profit and revenue outlook for the year after weak results in the spring and during the holiday season. Under Lundgren, Macy's has been looking for new growth opportunities, from buying Bluemercury, an upscale beauty brand, to launching a group of off-price stores called Macy's Backstage. But against a weakening sales picture, Macy's announced in May it was accelerating initiatives to get shoppers excited. It said it planned to look for new ways to cut expenses and use that money for more sales help at the stores and online. And it's expanding its offerings on exclusive launches, including one backed by Sir Elton John and Lady Gaga. Shares of Macy's Inc. rose $1.12, or 3.4 percent, to $33.93 in morning trading Thursday.